I primed this classic old mini up and just got started with a few colours. 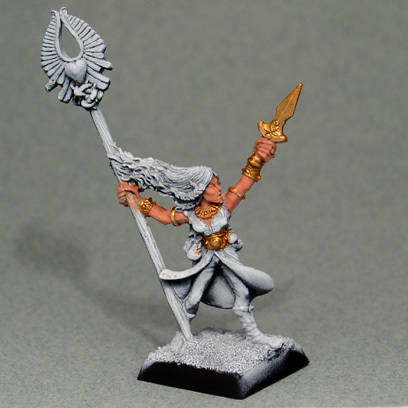 Kaya Stormwitch from "Scarloc's Wood Elves Scouts". She will be painted to match the other wood elves in the Gallery section.